The classic 727 first flew in 1963 and still delivers superb performance in great style today. This very successful aircraft that employs a complex wing with high lift devices is still in service with several airlines around the world even today. 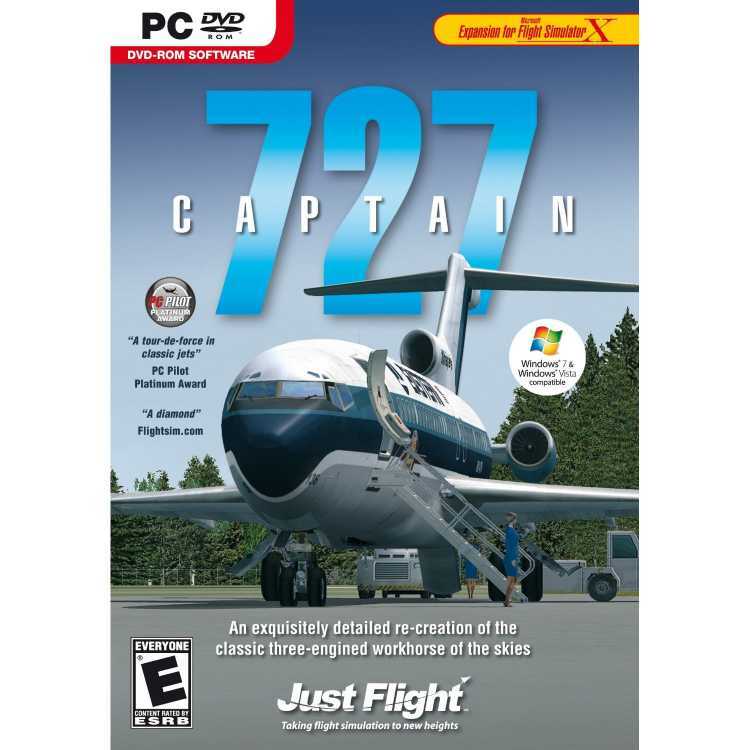 727 Captain has been developed exclusively for FSX (DirectX 9/10 compatible) by the legendary airliner specialists, Captain Sim, and is the ultimate 727 simulation, featuring unparalleled visual quality and realism. 727 Captain supplies the -100, -200 and freighter models as well as winglet and non-winglet variants along with the unique UDF (Un-Ducted Fan) version. 17 detailed liveries from around the world are included.